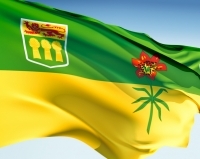 As per the reports, new Saskatchewan Express Entry can be applied through online by the immigrants and the immigrants. The province says it would make the application process much easier for the applicants who have skills that are in high demand. This criterion would focus on the most qualified workers instead of relying on the first come and first serve basis, now instead of relying on the first come and first serve basis. Where we tend to have the labour market need here in this province. And it is primarily for the skilled traders, “ said Jeremy Harrison, the minister of immigration, jobs, skills and training. It’s something we have heard repeatedly from the employers. It is a challenge to attract the skilled labour. A construction company successfully recruited bout 15 experienced trades people through this immigrant program. Harrison has said that the applications according to new category would be processed by the Citizenship and immigration Canada in the six months or less.